Screen Australia's Head of Marketing, Kathleen Drumm, today announced the launch of the agency’s Short Film Marketing Guide at the annual Raw Nerve initiative in Tasmania. 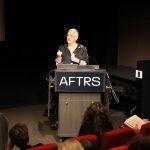 Authored by industry aficionado Sandy George, the manual offers filmmakers comprehensive practical information on how to effectively market short films internationally and how to negotiate the festival, sales and self-distribution environment. Now in its seventh year in Tasmania, Raw Nerve 2014 is delivered by Wide Angle Tasmania and is a national production initiative of Screen Australia and Screen Network. Raw Nerve provides first-time funded directors with a unique opportunity to develop high quality short films on a micro-budget.